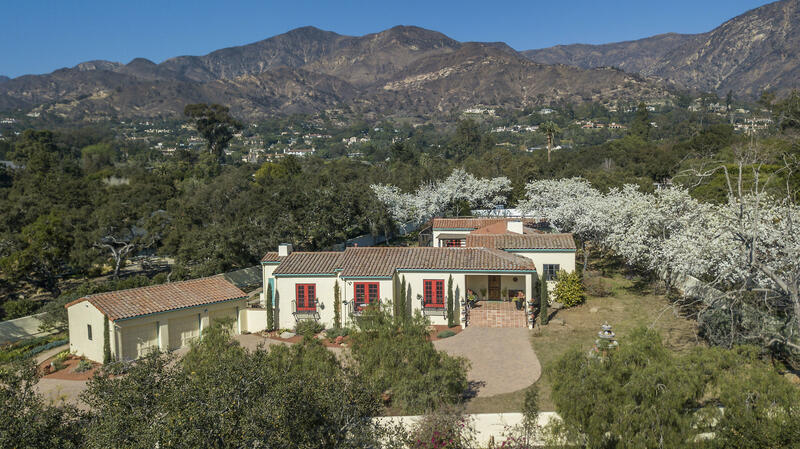 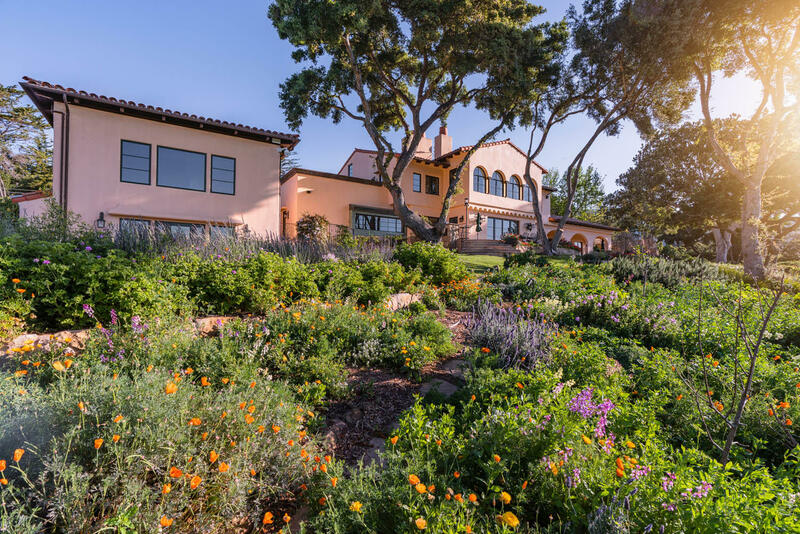 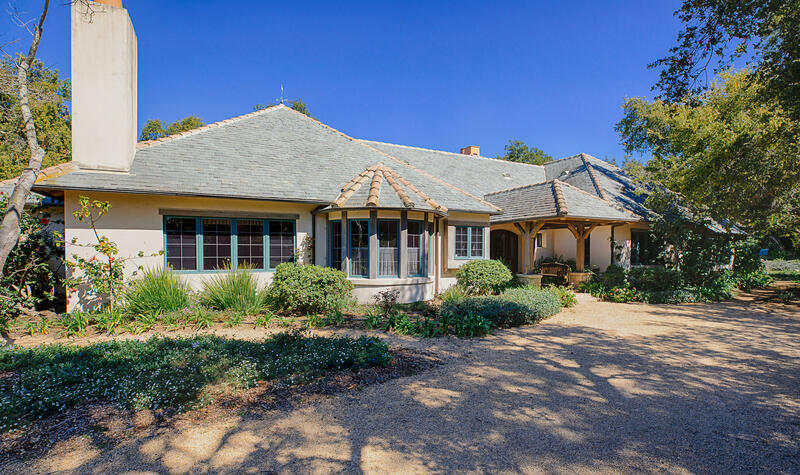 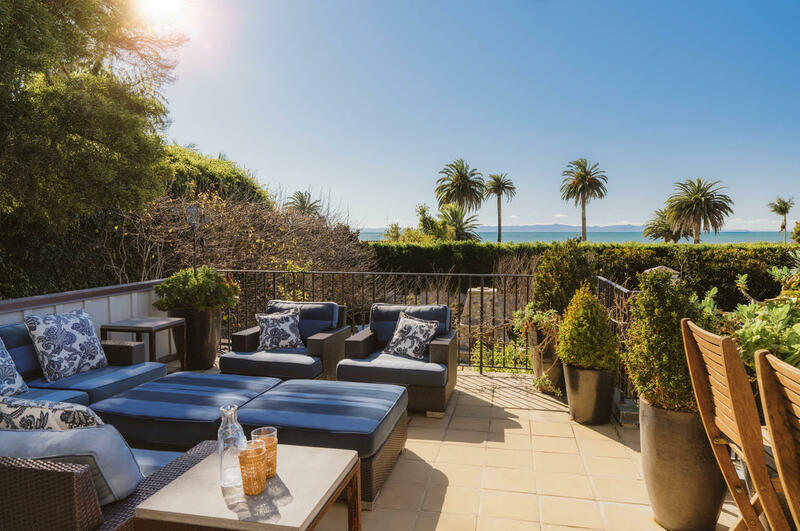 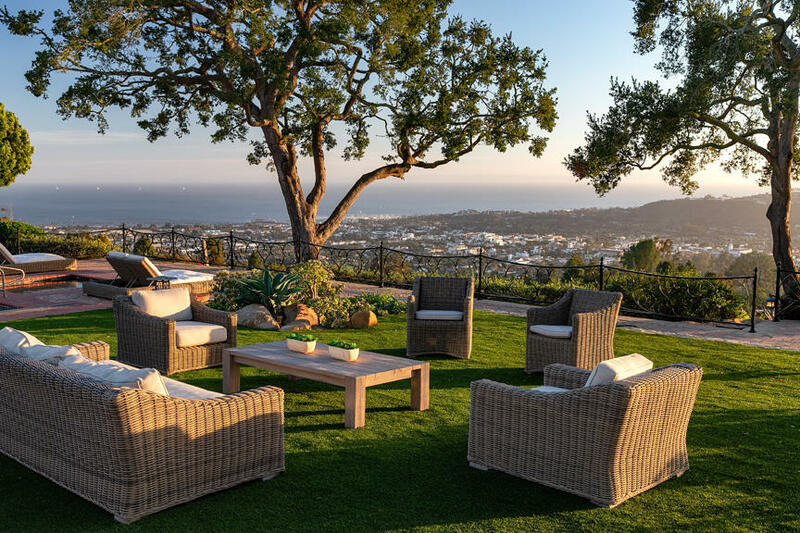 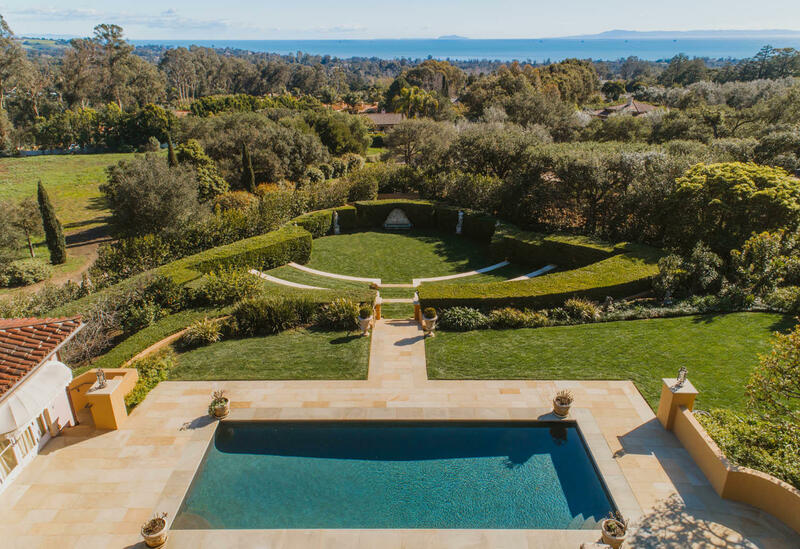 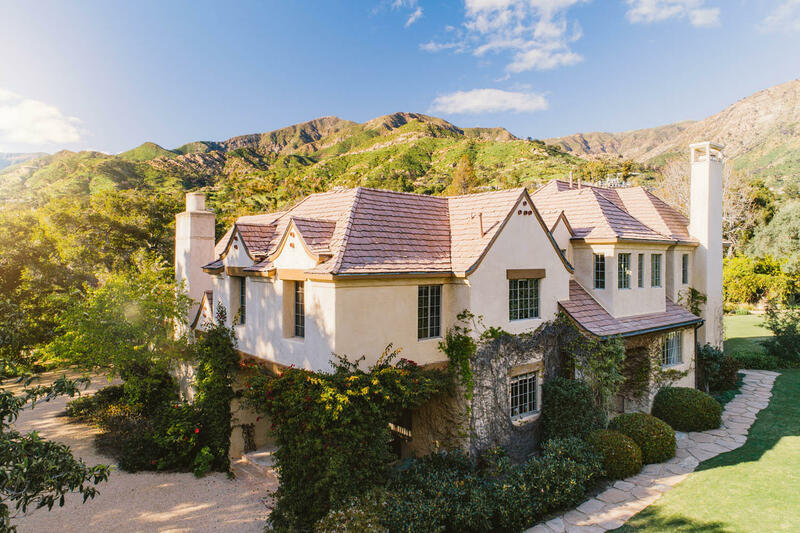 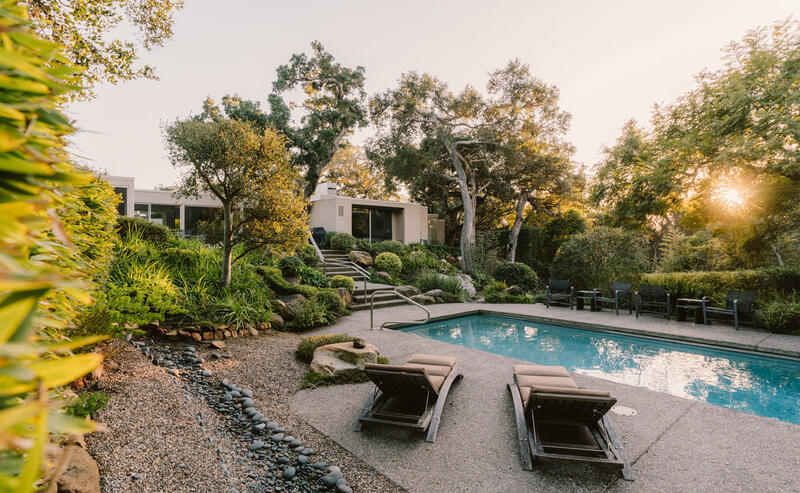 Resting atop a knoll in Montecito's exclusive Ennisbrook community, this Mediterranean estate and its long list of amenities rivals the grandest of resorts. 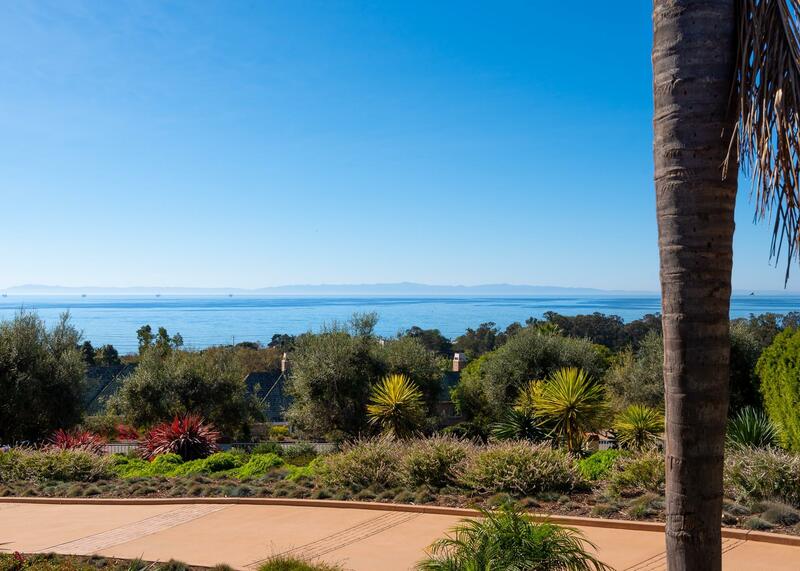 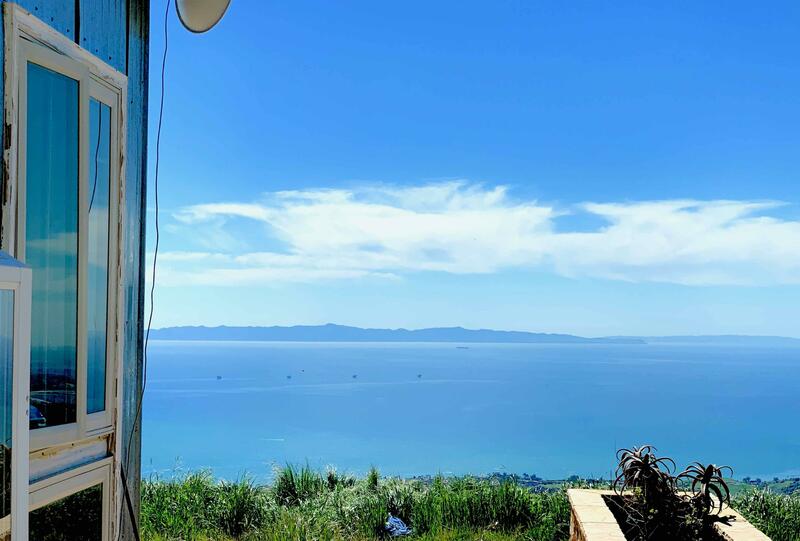 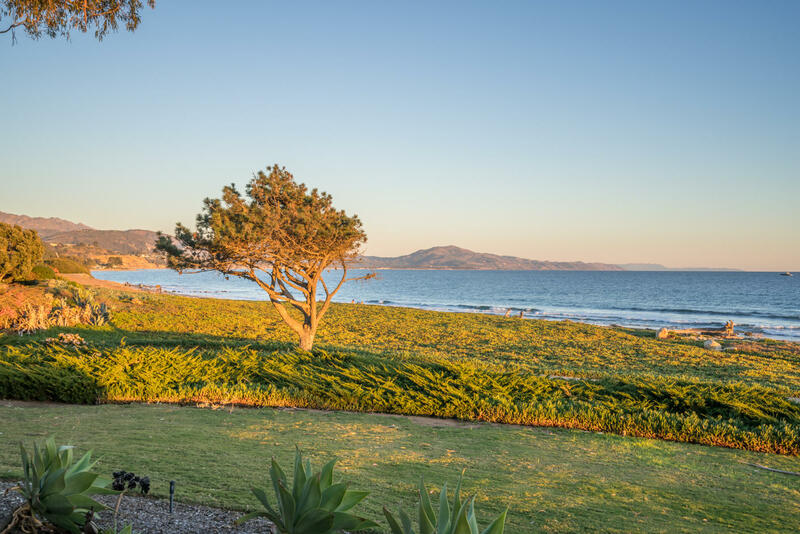 Its approximately 2.25-acre hilltop location establishes a rare viewpoint, with sprawling vistas of both the ocean and mountains. 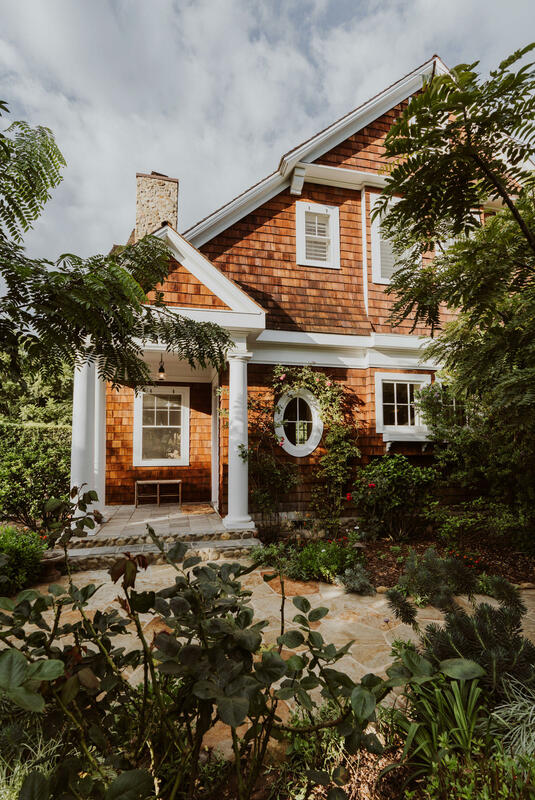 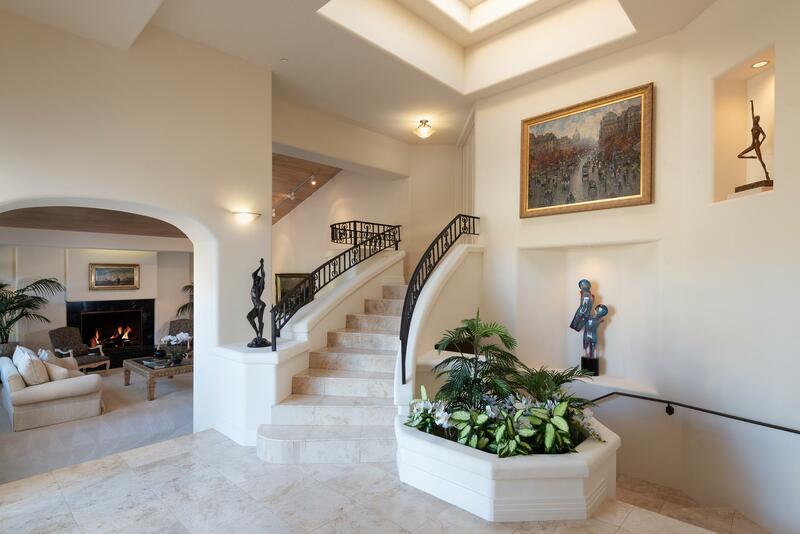 Upon entering through the home's gated driveway, one is greeted by a large circular driveway lined with tall palm trees, bright bougainvillea and drought-tolerant landscaping. 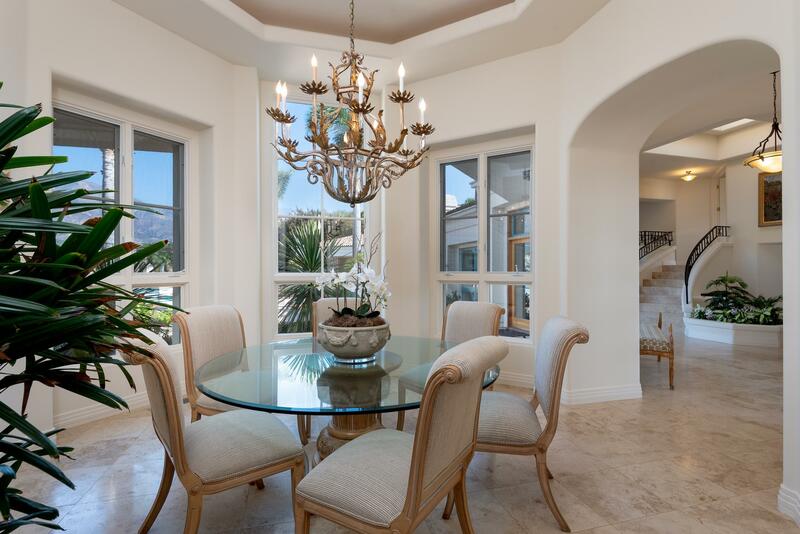 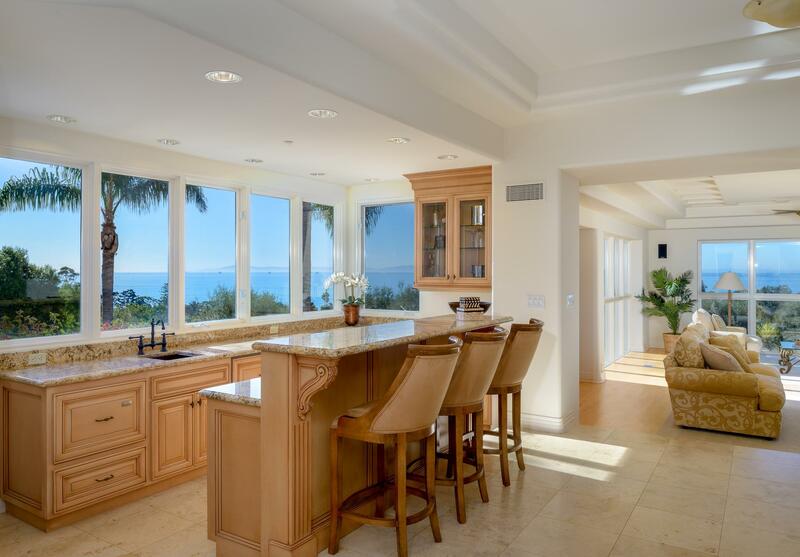 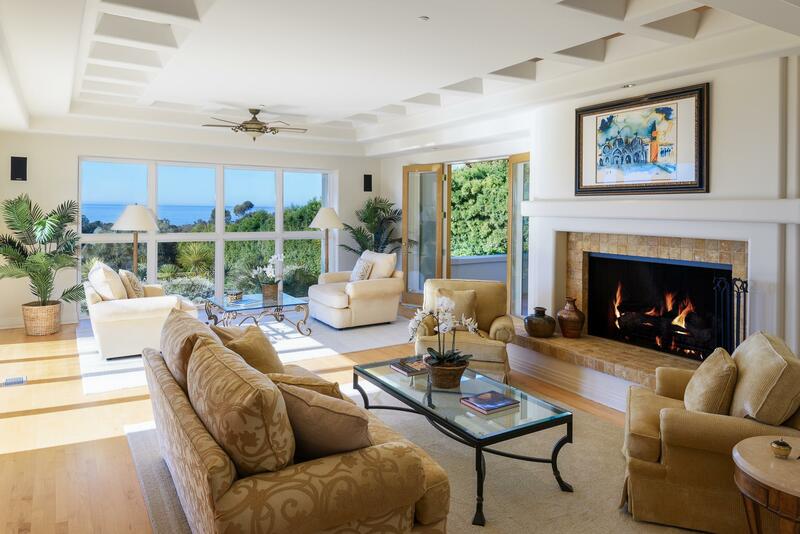 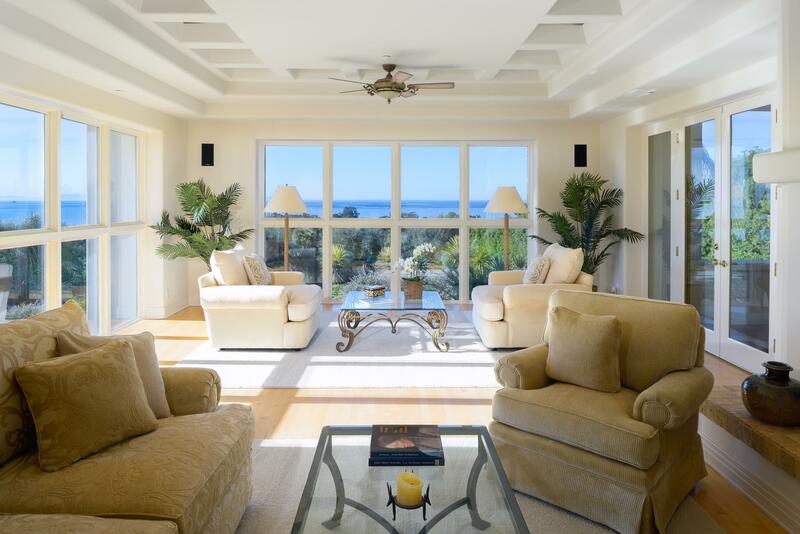 The formal entry hall leads you to the heart of the home, including the ocean-view living room, wet-bar area, family room, dining room and kitchen. 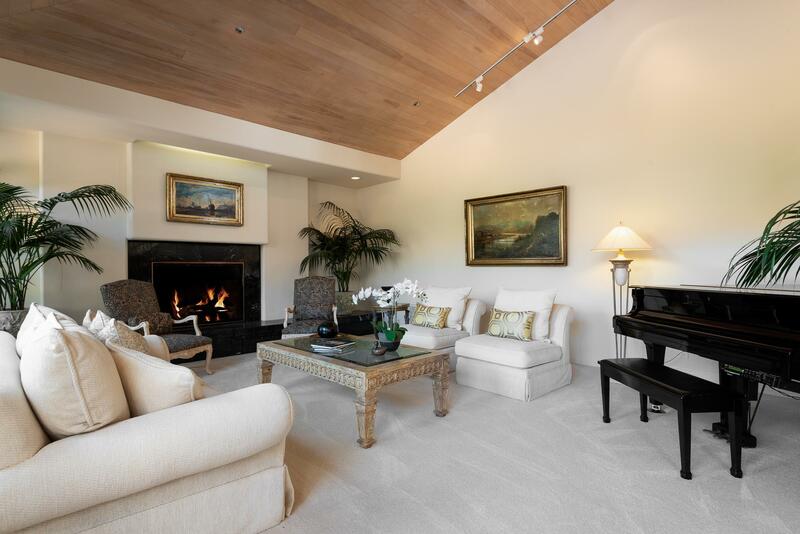 Just downstairs from the kitchen is a generous media or billiards room with an additional office. 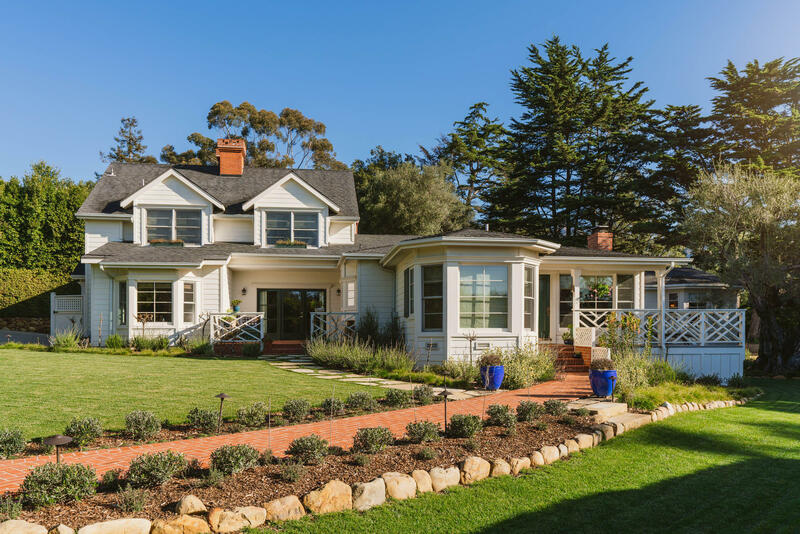 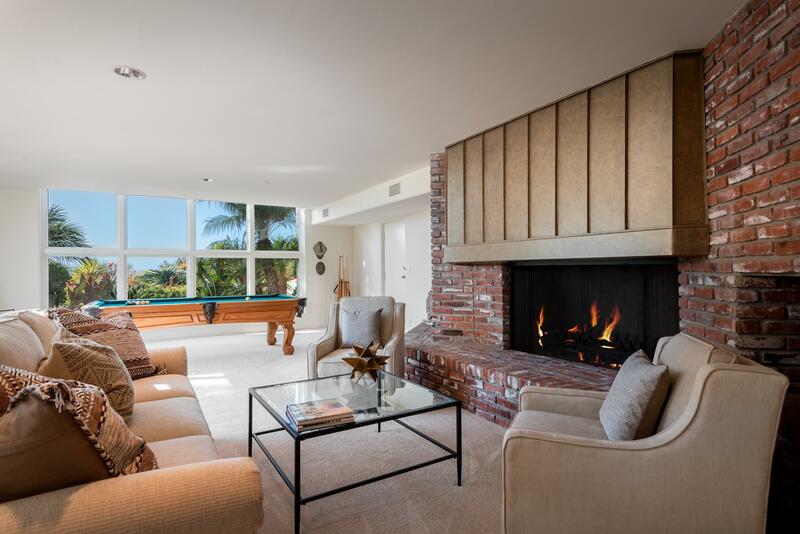 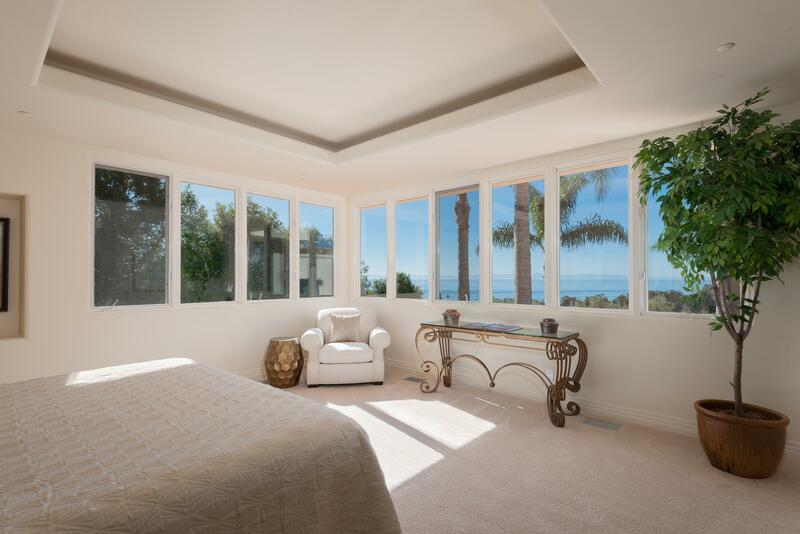 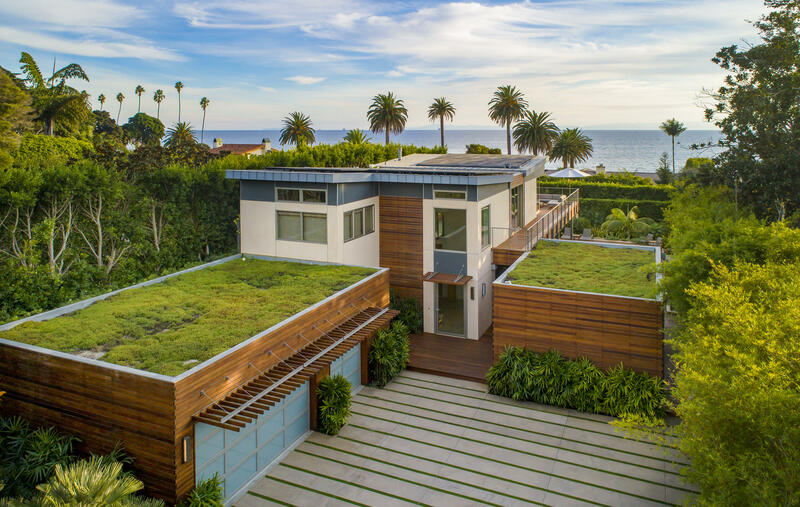 The upper level of the home is designated to the ocean-view master suite, which has a sitting room with fireplace, a sizable bathroom and direct access to the gym. 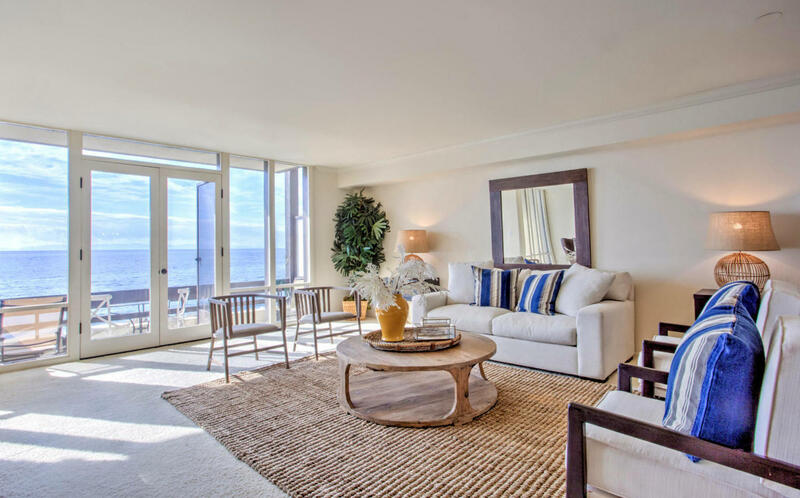 Two spacious ocean-view guest suites, both with en-suite bathrooms, and a shared sitting area are found on the lower level of the home. 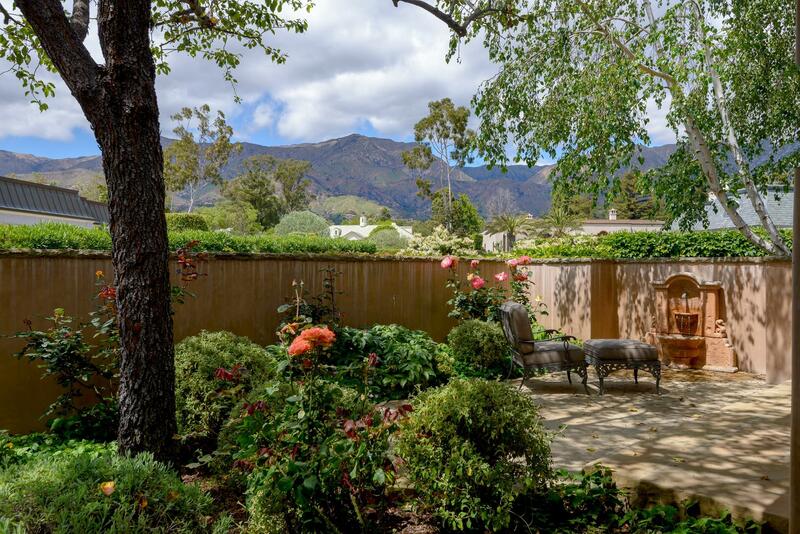 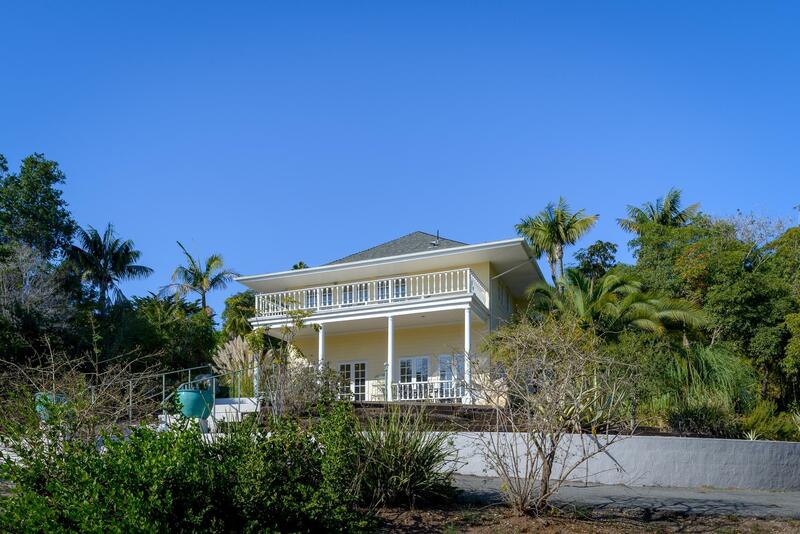 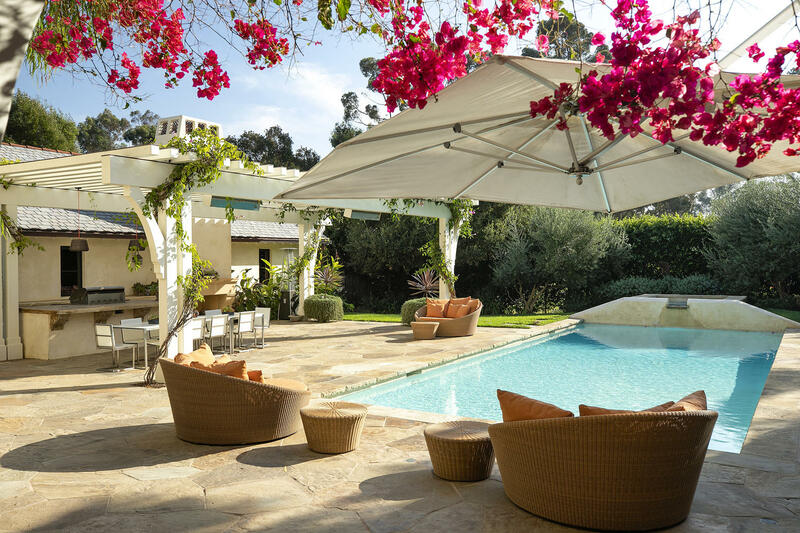 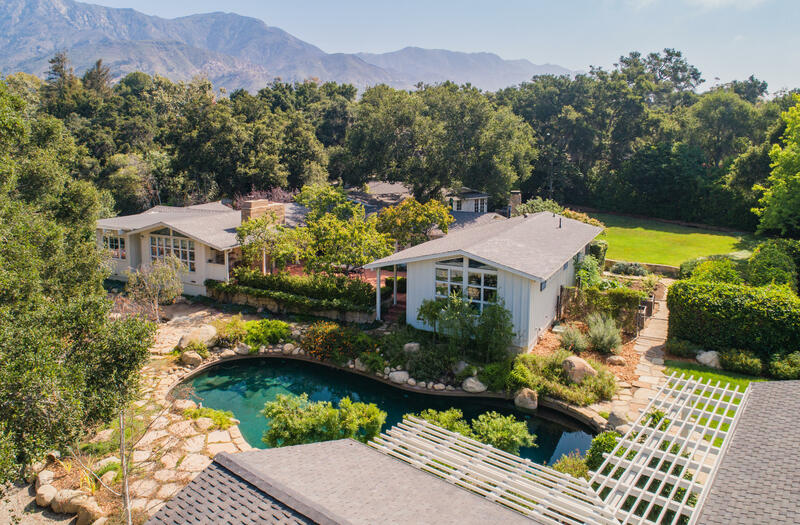 The backyard is truly the crowned jewel of the estate with a vast patio, dazzling pool, spa, trellised terrace, detached 2-bedroom guest house, an array of palm trees and planters with lush landscaping, all featuring incredible mountain views. 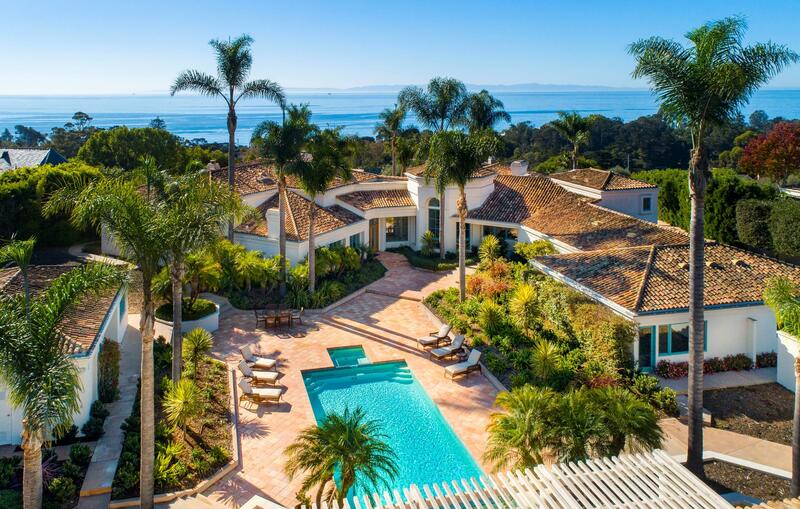 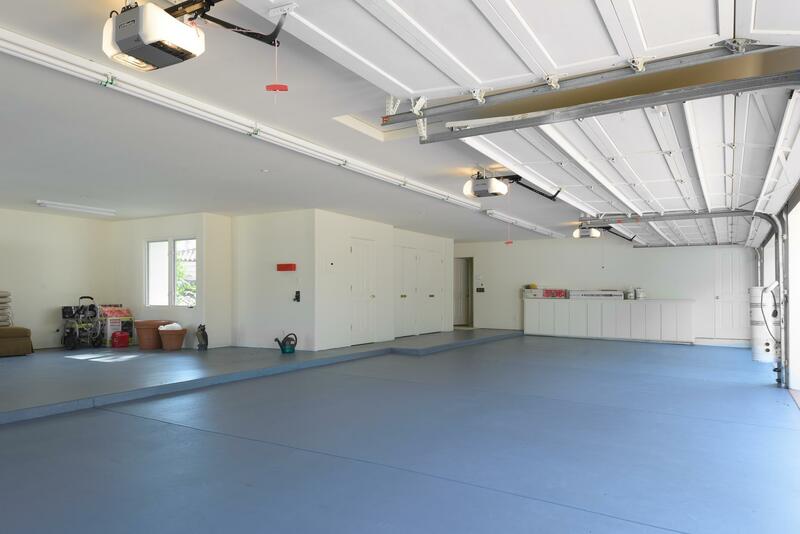 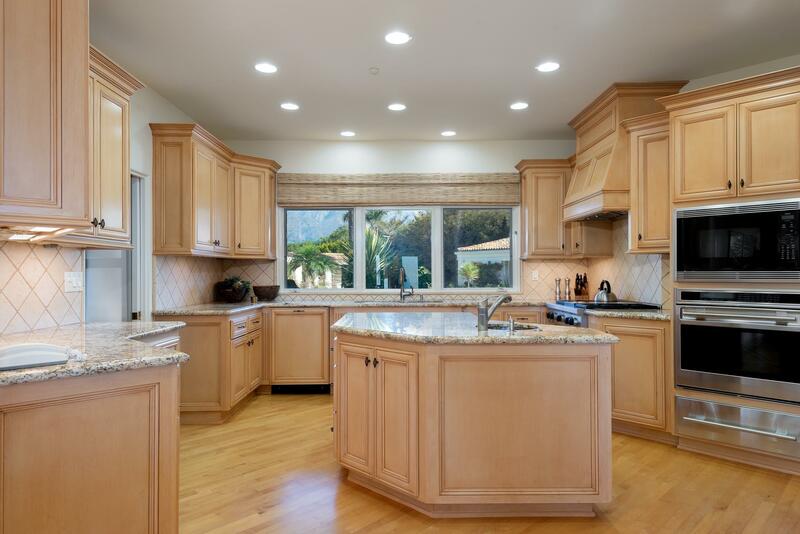 With endless amenities, as well as an oversize 5+ car garage, this estate is an entertainer's dream. 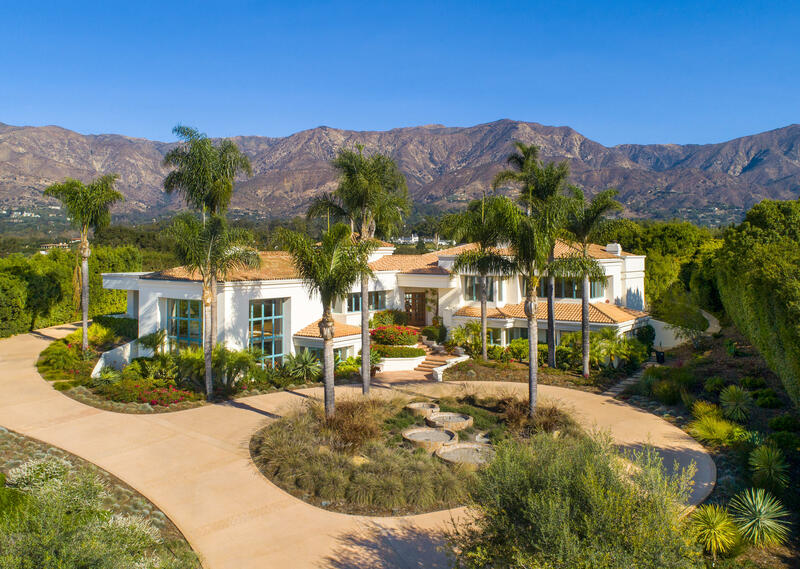 To complete this ultimate Montecito living experience, the Ennisbrook community offers two club houses, multiple tennis courts, two community pools, barbeque areas and gated security.